Fashion houses are always looking for the most extravagant ways to present themselves and when we heard where Gucci were holding their June fashion show we knew that they had definitely won the extravagance game. 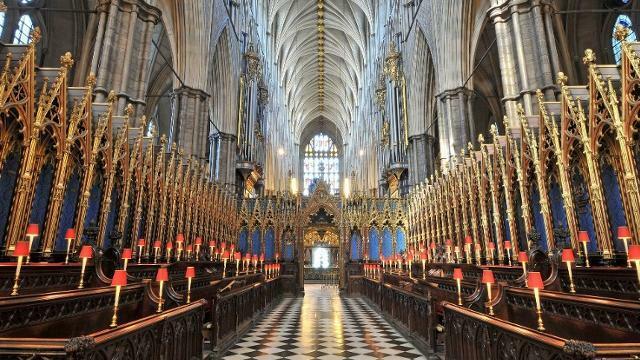 In what could be considered a fairly controversial move, Gucci are hosting their fashion show in the one and only Westminster Abbey. Yes, seriously. The Italian label will show off their cruise collection in the abbey, the first fashion show to be held there (were we really surprised at that fact?). Models will be walking the same catwalk as Royalty as Westminster Abbey has been the site of sixteen royal weddings, including the Duke of Cambridge’s. Alessandro Michele, the designer, has described the news that the fashion show will be able to take place there as “magical”, but some people aren’t too happy about it. Reverend Peter Owen-Jones told The Independent “I think it’s part of the Disneyfication of all the traditional sacred spaces in this land, it confuses what the Church is for. Is the central icon of Christianity there to offer spiritual sustenance and love or is it just part of the marketplace of capitalism, we are in the process of selling our soul for a pair of trousers” yes, Reverend, but they are Gucci trousers. April Alexander, a member of the General Synod, the Church of England’s governing body, disagreed with the Reverends views and said “I think it’s a good thing to share those beautiful cloisters with as many people as possible, especially if, I guess, many of these people are not normal churchgoers”. Churches across Britain are facing a serious funding crisis, and have already started exploring new ways to make money. The editor of The Church Times Paul Handley said “We’re going to see churches and cathedrals being put to much wider use in future, we have a feature this week on new uses including skateboarding, street dance, parkour, and beer festivals”.